A saggy, old cloth cat, baggy, and a bit loose at the seams… but Emily loved him. There were only 13 episodes ever made! Remember those little creatures living on a hollow planet, far away, nourished by Blue String Pudding and Green Soup harvested from the planet’s volcanic soup wells by the Soup Dragon? 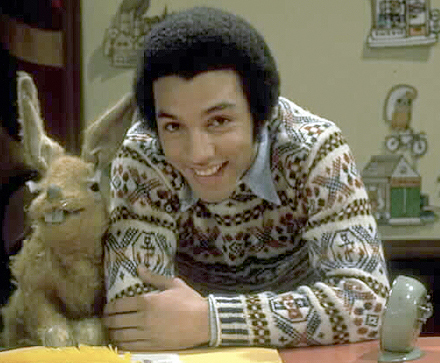 Pipkins was one of the first children’s programmes on British TV where the characters had regional accents. 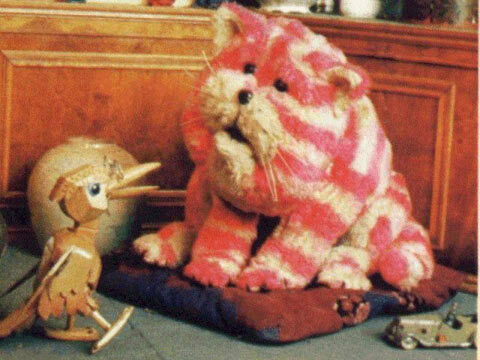 We loved naughty Hartley Hare, Pig, Topov – Octavia the ostrich had a French accent. It’s the longest running TV show in the world! 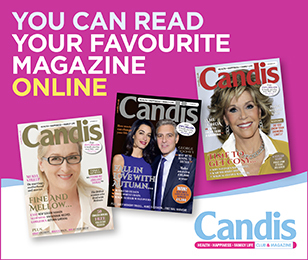 There have been many presenters including John Noakes, Valerie Singleton, Leslie Judd, Sarah Greene and Peter Duncan. It was famous for its arts and crafts using the legendary sticky-backed plastic among other materials! The show always had resident pets – dogs included Shep and Goldie, cats included Jason and Socks, a tortoise called Shelley and a parrot called Joey! was unscripted and the presenters were free to improvise. 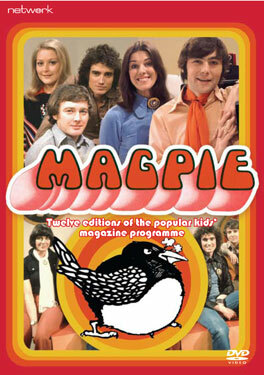 The show’s mascot was a magpie called Murgatroyd. 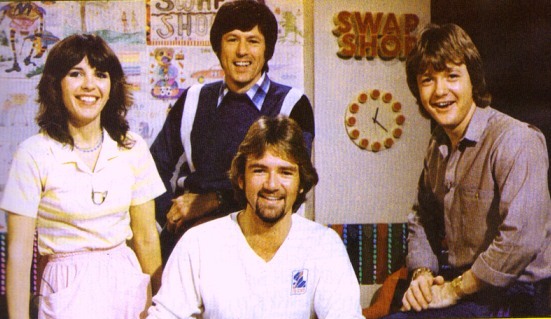 We loved Saturday morning TV – the live show was hosted by Noel Edmonds with fellow presenters Keith Chegwin, John Craven and Magie Philbin. A hugely popular element each week was Swaporama where the broadcast unit would travel around the country and children could swap their belongings with others. It was also ground breaking in that it had the first phone-in on TV. There was a mixture of everything – competitions, film and music promos and who could forget the Phantom Flan Flinger? 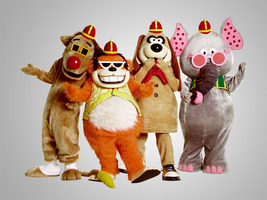 One banana, two banana, three banana, four…This show was a bit crazy – a variety programme that featured The Banana Splits, a rock band consisting of four furry animals (grown men in costumes! 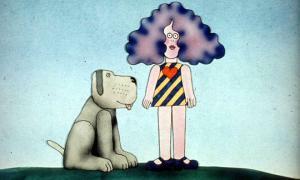 ), they were Fleegle, a beagle, Bingo, a gorilla, Drooper, a lion and Snorky, an elephant. There were lots of fun cartoons, too, including The Hillbilly Bears and The Three Musketeers. It was an educational programme, although looking back it was so interesting it didn’t seem stuffy, aimed at making facts fun for kids. It gave answers to any questions beginning the word how. Each episode included puzzles, science, maths and history – we think our own children would love it still today. 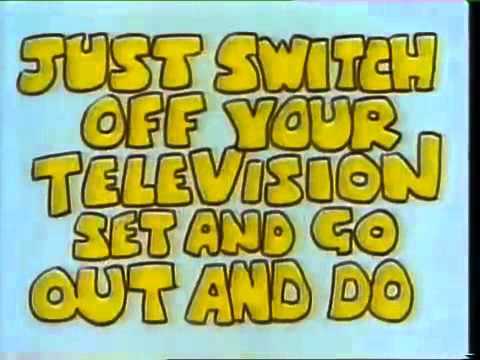 …just Switch Off Your Television Set and Go Out and Do Something Less Boring Instead? 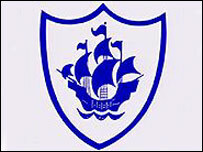 The programme had groups of children replying to viewers’ letters who wrote in suggesting craft projects, games and tricks to impress their friends. This gentle cartoon was all about a girl and her lovely dog who play with her friends Birdie and Butterfly. The episodes were only five minutes long although there were some 20-minute Christmas specials. There was no dialogue, just a full musical background. We remember it with fondness. Each ten-minute story centred on a finger puppet animal and usually involved collecting items such as pebbles and feathers. 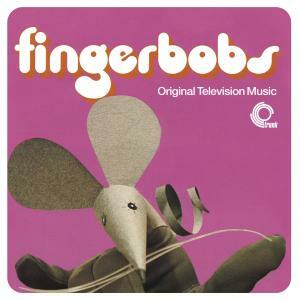 Some puppets had their own song – Fingermouse, Gulliver (seagull) and Flash (tortoise). 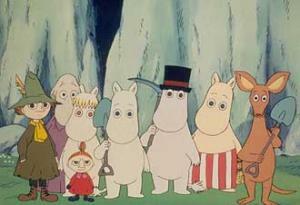 The Moomins were a family of white fairy tale creatures, who looked a bit like hippos with large snouts and pointy ears. They lived in their house – or sometimes lighthouse or a theatre – in Moomin Valley and had adventures and great fun with their posse of friends. “I’m a very friendly lion called Parsley…. 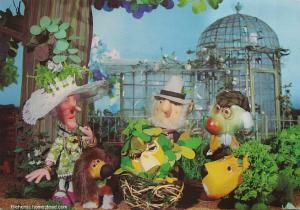 remember Parsley the Lion, Sage the Owl, Dill the Dog, Belladonna the Witch and Bayleaf the Gardener? The herbs were a mixture of animal and human characters who lived inside the walled garden of a grand country estate. 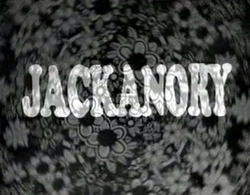 Each episode began with the narrator (Gordon Rollings) saying the magic word Herbidacious, which opened the garden gate and the fun would begin. We loved the theme tune! 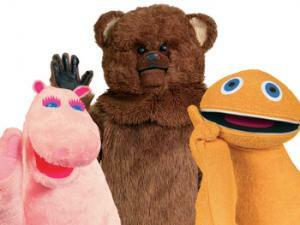 Each programme was filmed in the Rainbow House where the main puppet characters, Zippy, George and Bungle, lived. 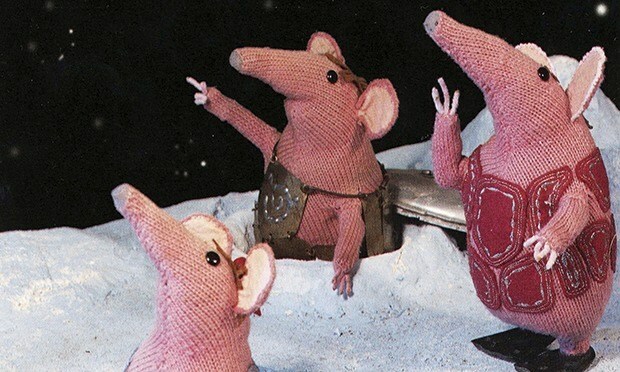 Geoffrey usually kept the peace when squabbles broke out among the puppets. 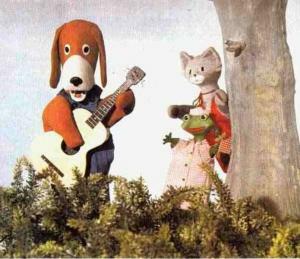 Music was provided by the talented Rod, Jane and Freddy and stories would be read by Geoffrey – there was always a happy ending to each episode. Based on the antics of loveable Hector the Dog and Zsazsa the Cat. They lived in a house with a big garden and other characters – and sometimes Kiki the Frog would jump through a hole in the hedge much to their annoyance. It attained cult status during the 1970’s and was moved to the slot before the evening news to mark the end of children’s TV for the day. 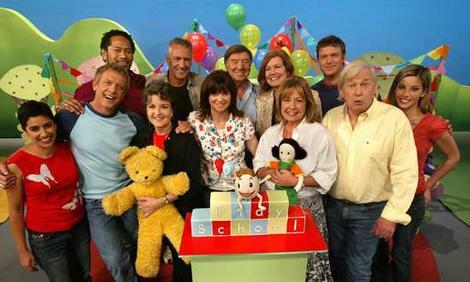 The loveable characters included Dougal the dog, Brian the snail, Zebedee the jack-in-the box and Ermintrude the cow. 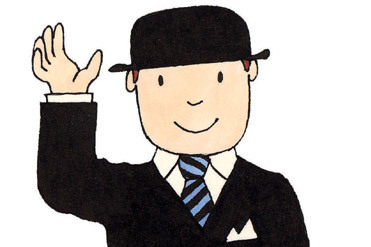 Human characters include a young girl called Florence, Mr Rusty who worked the roundabout and old Mr McHenry, the gardener. Great adventures were had within the brightly coloured park – each episode ended with Zebedee saying Goodnight! A little girl called Mary, her dog called Mungo and her pet mouse, Midge, all lived in a tower block. 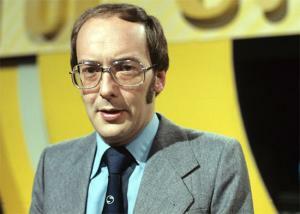 Newsreader Richard Baker narrated the programmes. 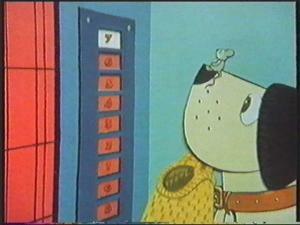 The three would have various escapades in the town before returning home to their block of flats, Midge would press the button for the lift by standing on Mungo’s nose! An actor would read a story or a folk tale while sitting comfortably in an armchair. Sometimes drawings by Quentin Blake were used to illustrate the story. The last story was read by Alan Bennett, The House at Pooh Corner by AA Milne, on 24 March 1996. 3,500 episodes ran over an expanse of 30 years!